chilla recipe | besan chilla recipe | besan ka cheela | veg omelette recipe with detailed photo and video recipe. 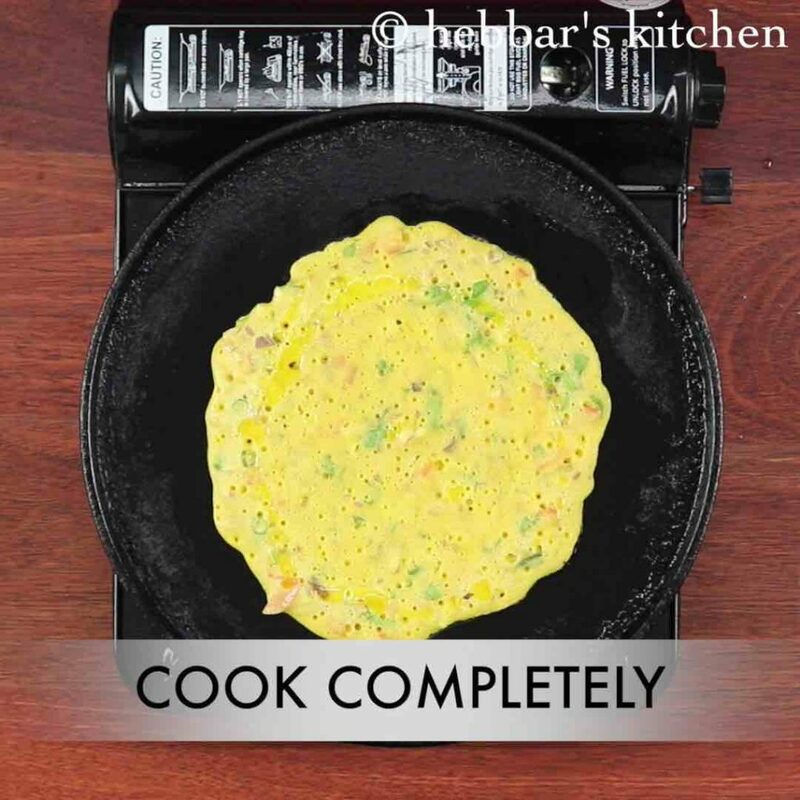 a traditional chickpea flour based pancake or cheela recipe which is also popularly known as vegetarian omelette because of the colour and texture. it is one of the famous north indian breakfast recipe and has a great similar characteristics to south indian dosa recipes. 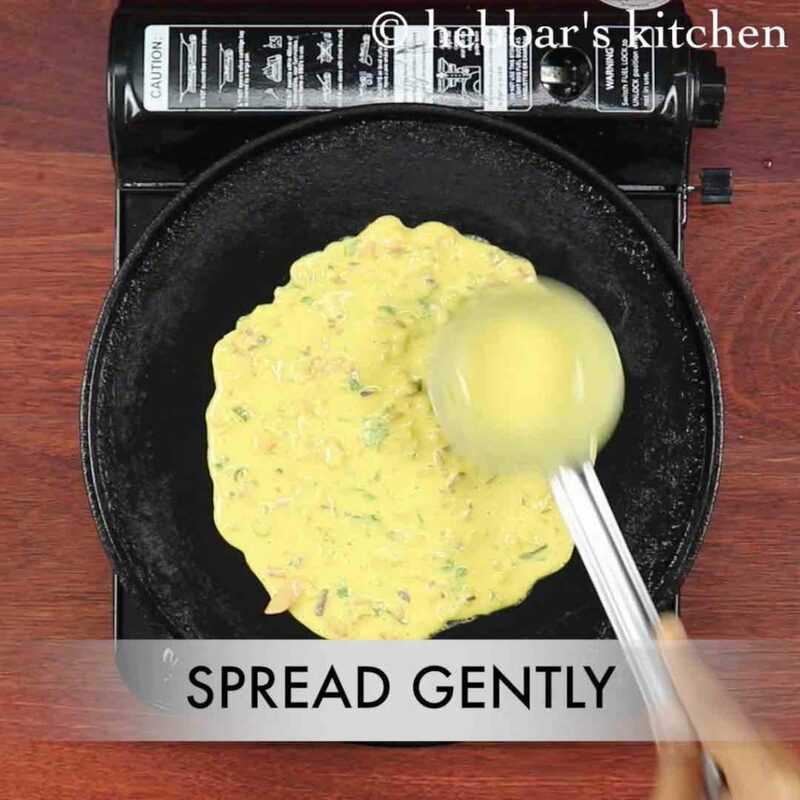 chilla recipe | besan chilla recipe | besan ka cheela | veg omelette recipe with step by step photo and video recipe. 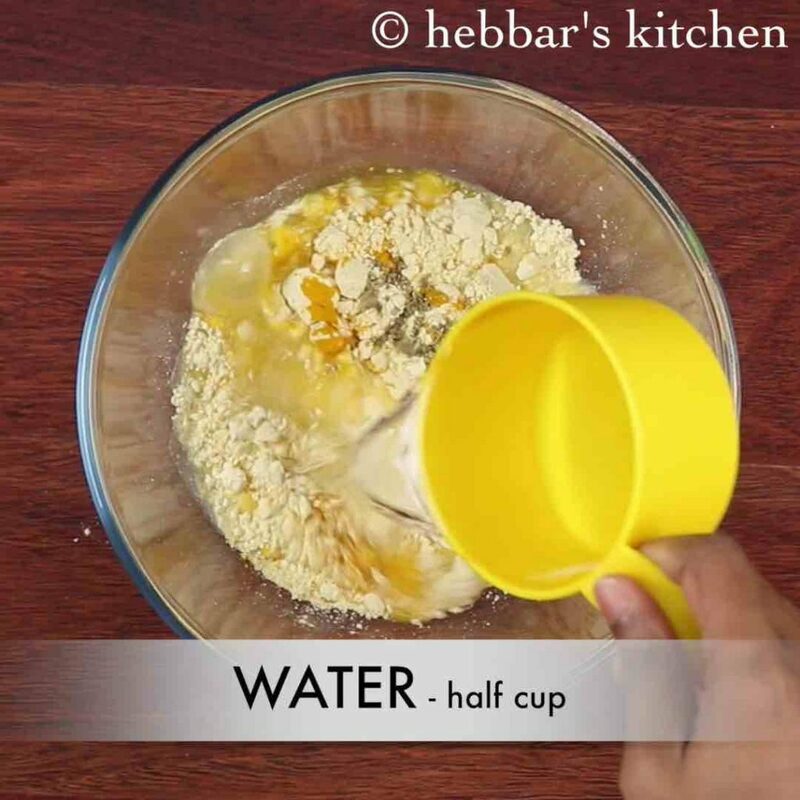 basically a quick and easy breakfast recipe which can be prepared in jiffy within minutes during those early busy mornings. due to its texture and colour it is also sometimes known as tomato omelette recipe or omelette for non egg eaters. 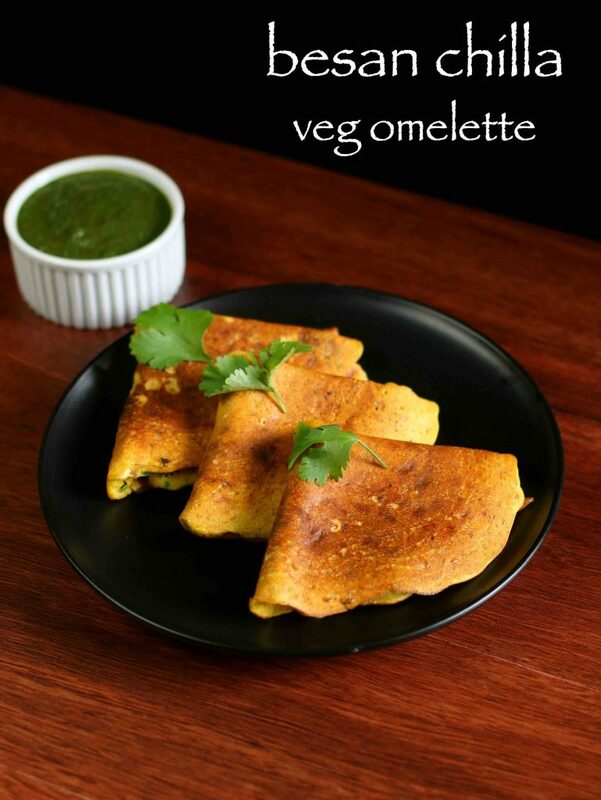 in this post lets learn how to make the traditional veg besan chilla recipe. this is one such recipe which i wanted to prepare and share it with video since long time. 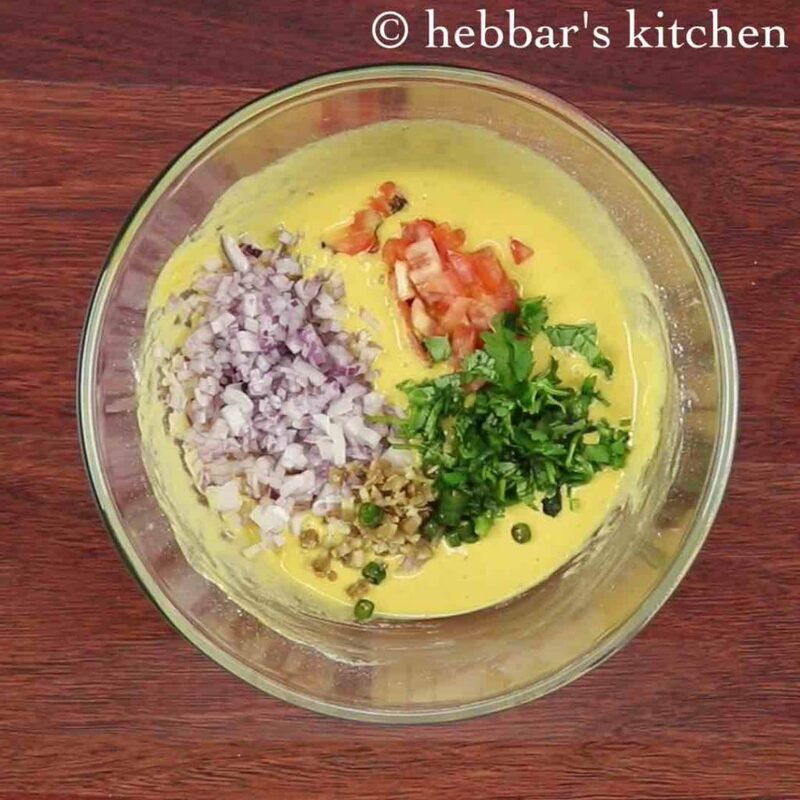 i use to get several requests for besan ka cheela recipe. i was always side tracked with other priority and other fancy and premium recipes. having said that, i always have a special love to this recipe and it is one my fixed breakfast recipe in my weeks menu. i try to vary it though by adding and mix n matching the vegetables. but i personally like it with simple finely chopped tomato and onions. 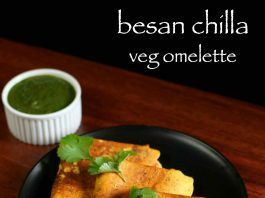 besan chilla can also be topped with chopped capsicum / bell peppers or even with carrots and beans. 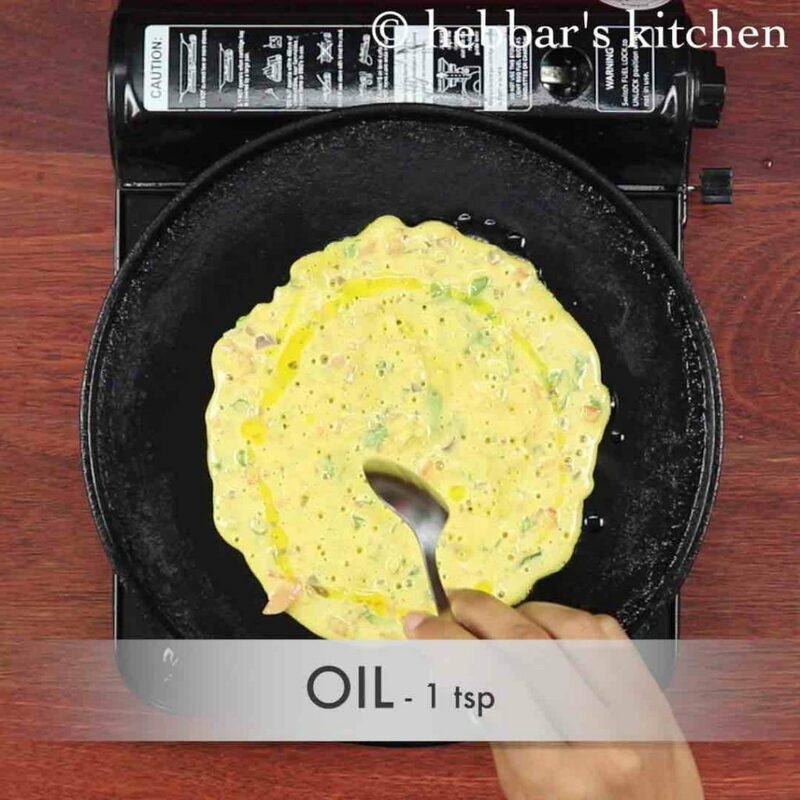 while besan chilla or veg omelette recipe is extremely simple to prepare, yet i would like to share few tips and suggestions. firstly, i would heavily recommend to soak and rest the besan batter for minimum of 30 minutes. 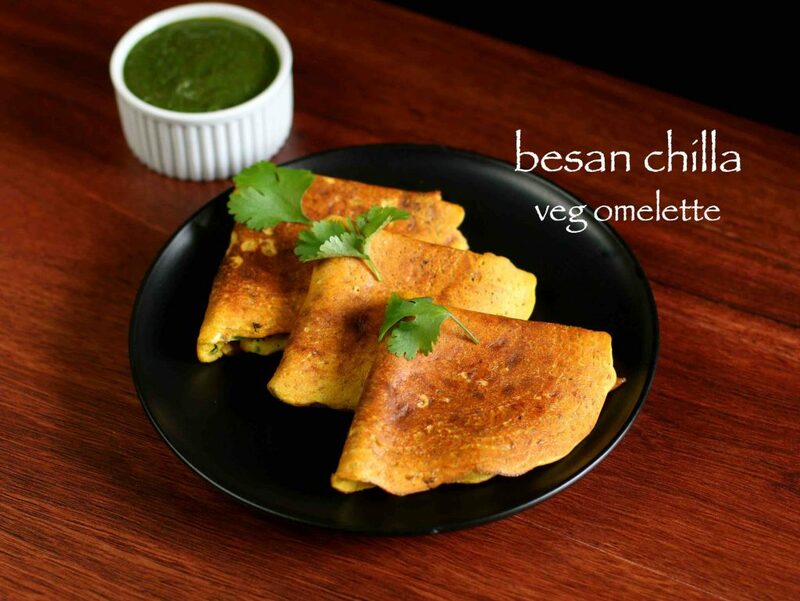 basically it helps besan to completely absorb water and you would not feel bloated after eating besan chilla. secondly, i would also like to highlight the importance of ajwain seeds or carom seeds in this recipe. typically any besan based dish would contain ajwain which helps in digestion. 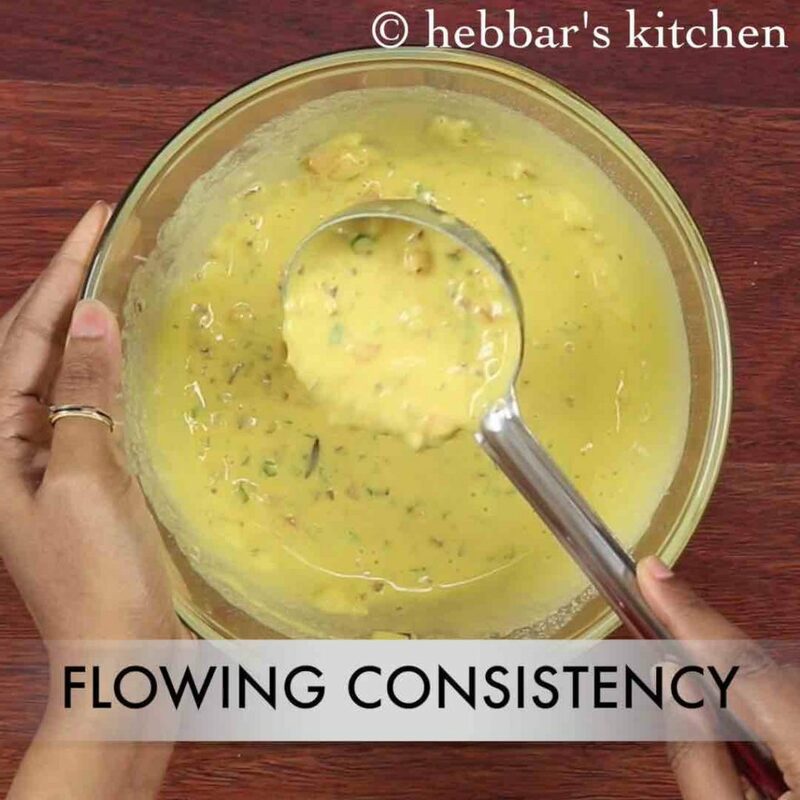 lastly, the consistency of the batter is very critical here and you can safely go with normal dosa batter or pouring consistency. 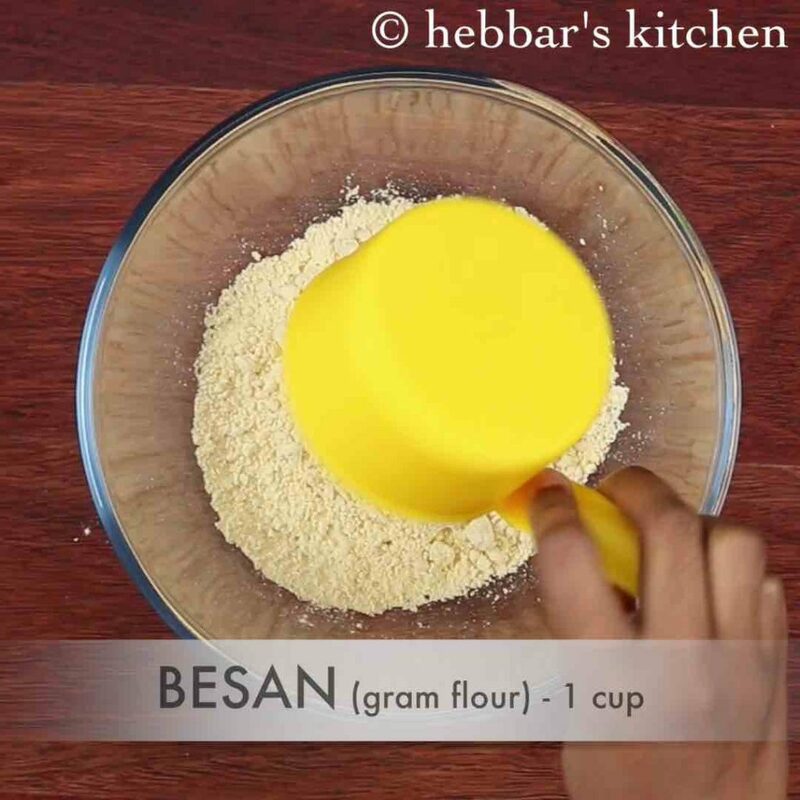 firstly, in a large mixing bowl take 1 cup besan. 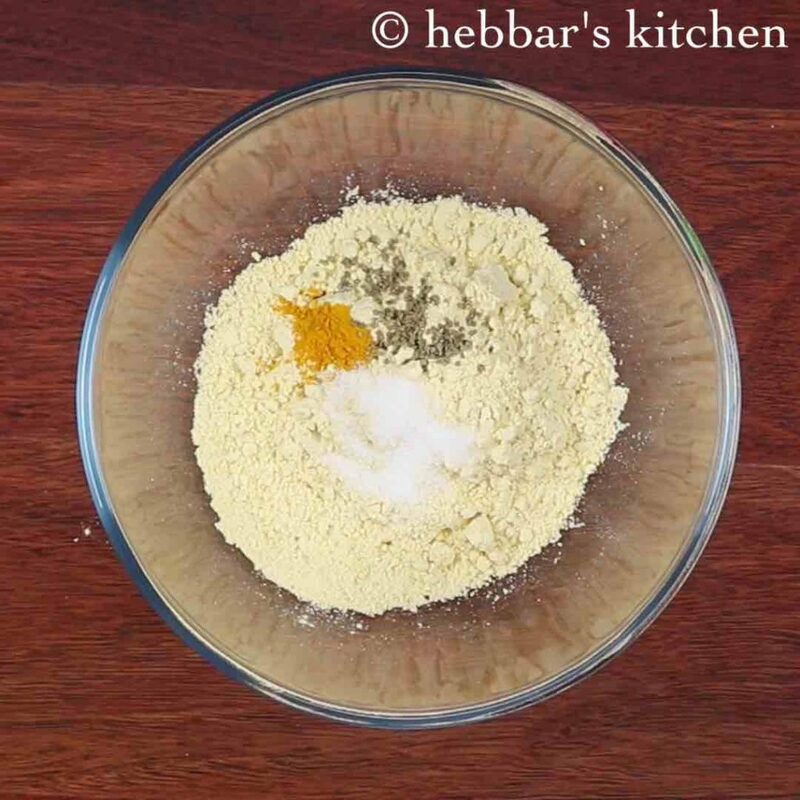 add in ¼ tsp turmeric, ¼ tsp ajwain and salt to taste. additionally, add ½ cup water or little more. 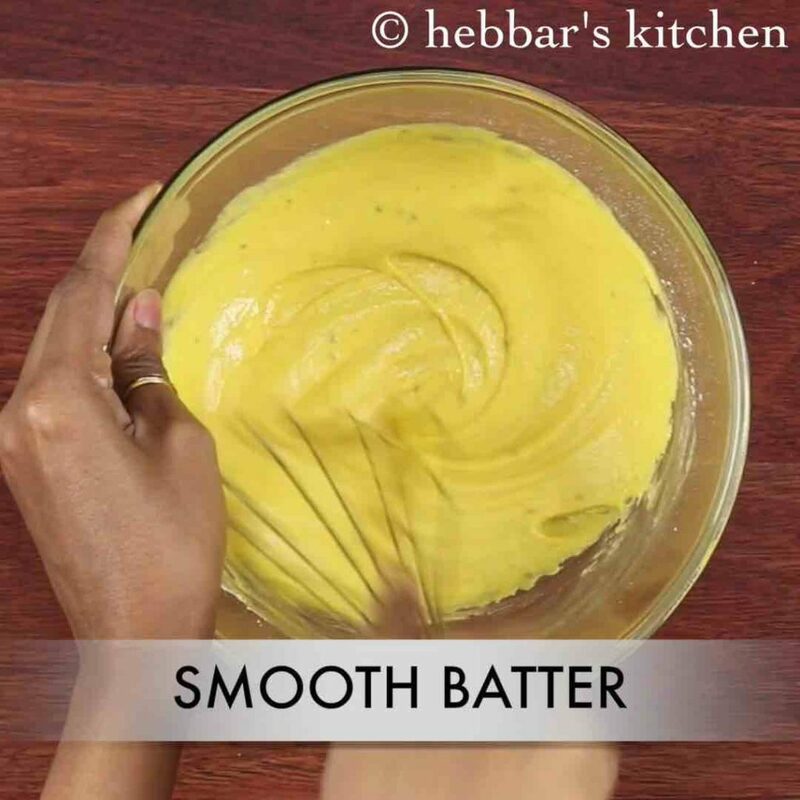 mix with the help of whisk to form a smooth batter. 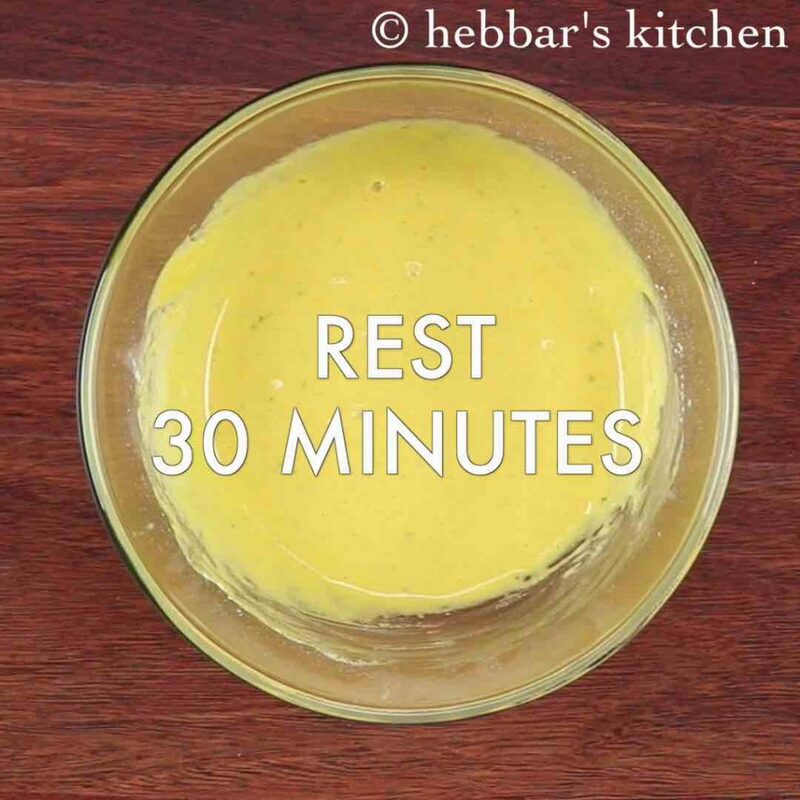 now rest the batter for 30 minutes or more so that besan absorbs water and turn light. furthermore, add in ½ onion, ½ tomato, 2 tbsp coriander leaves, 1 inch ginger and 1 green chilli. mix well with the help of ladle and get to a flowing consistency batter. pour a tsp of oil over chilla. allow to cook on medium flame. now flip the chilla and cook both sides. finally, fold the besan chilla and serve with green chutney. firstly, adjust the batter consistency depending on the thickenss of chilla you require. also make sure to rest the besan batter for atleast 30 minutes, else it might lead to gastric problem. additionally, add in vegetables of your choice to make it more nutritious. 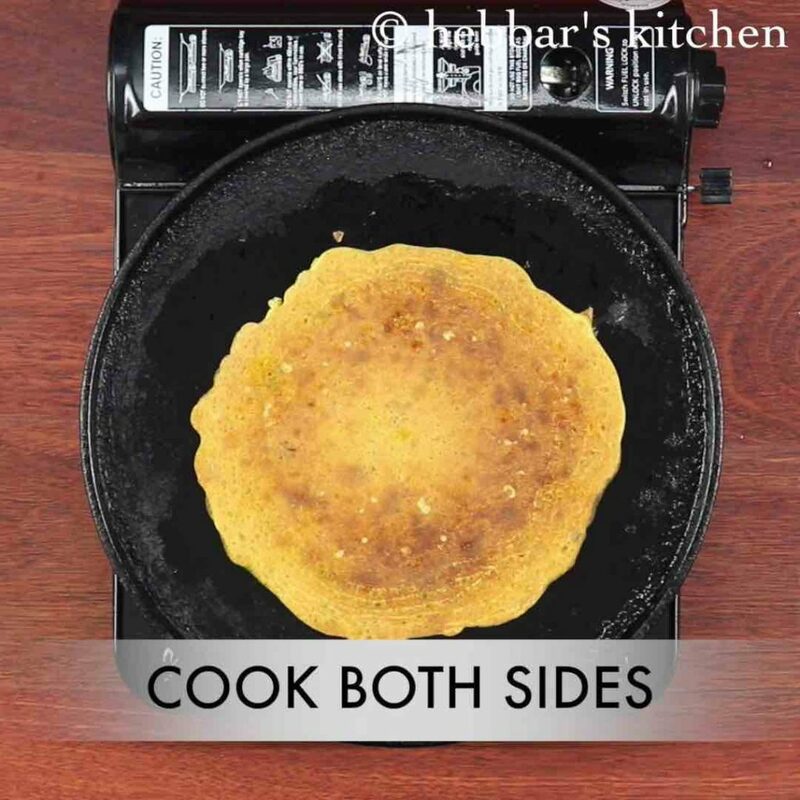 finally, cook besan chilla on both sides till they turn golden brown. Hi thanks archana for all your recipes nd shreeprada for healthy home made tips..